Developing Asia’s sustained rapid growth has improved general living standards and lifted hundreds of millions of Asians out of poverty within a generation. Yet the region now finds itself confronting rising inequality. Countries where inequality has worsened over the past 2 decades collectively account for over 80% of Asia’s population. As a result, governments across the region have begun to accord a higher priority to promoting more inclusive growth. The international experience, especially the experience of the advanced economies, suggests that fiscal policy can make a potent contribution to reducing inequality. 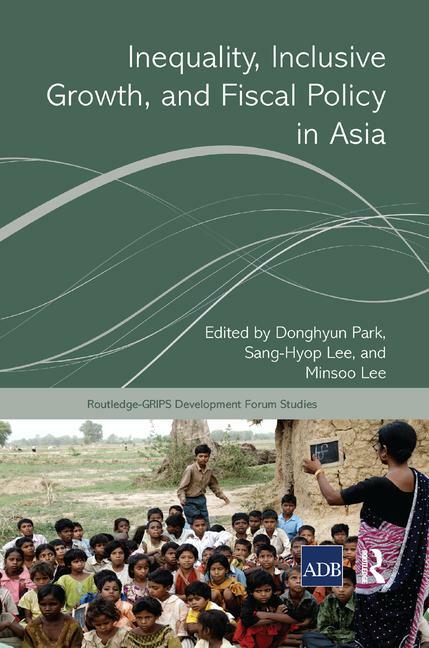 This book systematically explores the relationship between both sides of fiscal policy—public spending as well as taxes and other fiscal revenues—and inequality in Asia at great depths. On the basis of the analysis, the book sets forth a number of concrete options for rendering fiscal policy a more effective tool for more inclusive growth that benefits all Asians. Inequality, Inclusive Growth, and Fiscal Policy in Asia is written in response to an issue of growing demand in most Asian countries, and it comes at a time when Asian governments are also beginning to use fiscal policy to bridge the glaring disparities between the rich and the poor of the region. As such, the book will be a highly valuable reference for researchers, policy makers, and students as well. Donghyun Park is currently Principal Economist at the Economic Research and Regional Cooperation Department of the Asian Development Bank (ADB), which he joined in April 2007. Prior to joining ADB, he was a tenured Associate Professor of Economics at Nanyang Technological University in Singapore. He has a PhD in economics from UCLA; his main fields of research are international finance, international trade, and fiscal policy. He has been published extensively in academic journals and books. Sang-Hyop Lee is Professor of Economics and Director of the Center for Korean Studies at the University of Hawai?i at Manoa. He is also an Adjunct Senior Fellow at the East-West Center and the Asian Team Leader of the Global National Transfer Accounts Network. His studies focus on population and labor and social welfare issues with particular emphasis on Asian economies. He earned his BA and MA in economics from Seoul National University and a PhD in economics from Michigan State University, USA. Minsoo Lee is a Senior Economist in the Macroeconomics Research Division of the Economic Research and Regional Cooperation Department at the Asian Development Bank (ADB). Prior to joining ADB, he was an Associate Dean and a tenured full professor at Peking University’s HSBC Business School in the People’s Republic of China. His main research fields are international finance, international trade, applied econometrics, and energy economics.